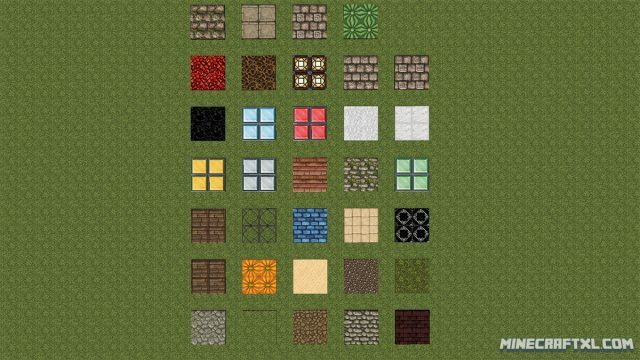 Tiles Mod is one of those smaller mods that doesn’t seem to change that much on the surface, but still have a massive potential for use. All the tiles available, laid out. 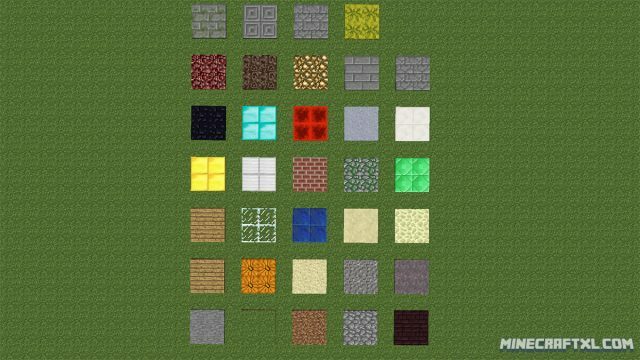 The mod is quite simple, it lets you craft tiles out of almost every existing block, which functions similar to carpets in that they are mainly decorative, and they can be placed on pretty much every block. However, carpets can sometimes be a bit hard to acquire, this mod lets you make tiles out of nearly every material, so it makes decorating a lot easier (and with more variety). All the tiles in item frames. But the use of these tiles makes many things a lot easier. Establishing roads no longer requires you to remove the dirt first and then place a stone block (as an example), now you can simply place a stone tile on top of the grass block, simpler, and better looking. 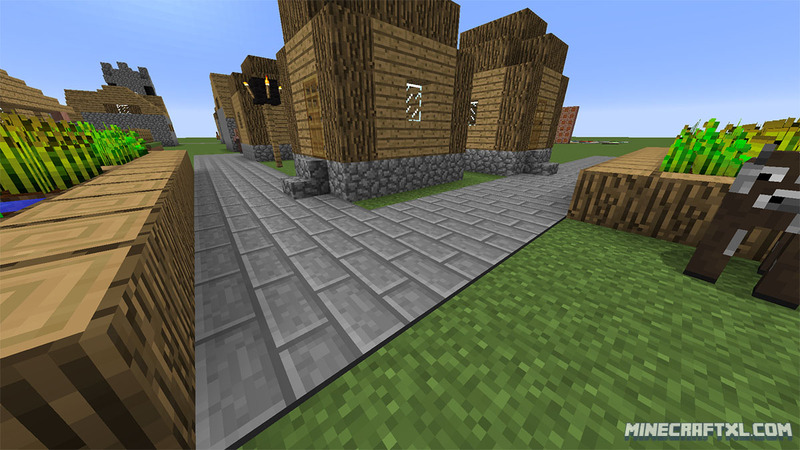 A practical example of this mods use, creating roads are now much easier. This mod requires Minecraft Forge in order to function, so be sure you have downloaded and installed that before installing this mod. Some tiles do have special properties though, that they share with their “parent block”, so if you place soul sand tiles, anyone moving over them will be slowed, which has many uses, traps being one example of what it can be used for. 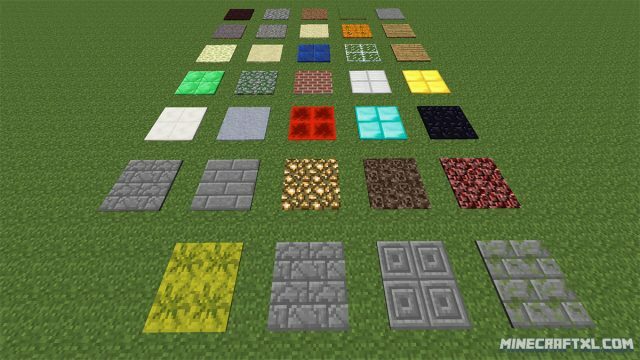 Grass tiles require 2 dirt blocks and 2 seeds. 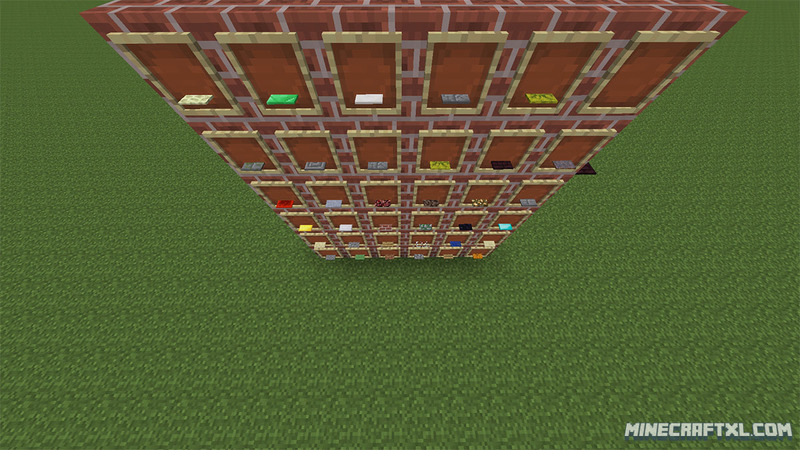 Mycelium tiles require 2 dirt blocks, 1 red mushroom, and 1 brown mushroom. To get the original block black, simply fill the crafting table with the same tiles to get 1 block of that kind back. It doesn’t matter where you place the 2 blocks in the crafting window, as long as they are next to each other, they will yield the tiles. 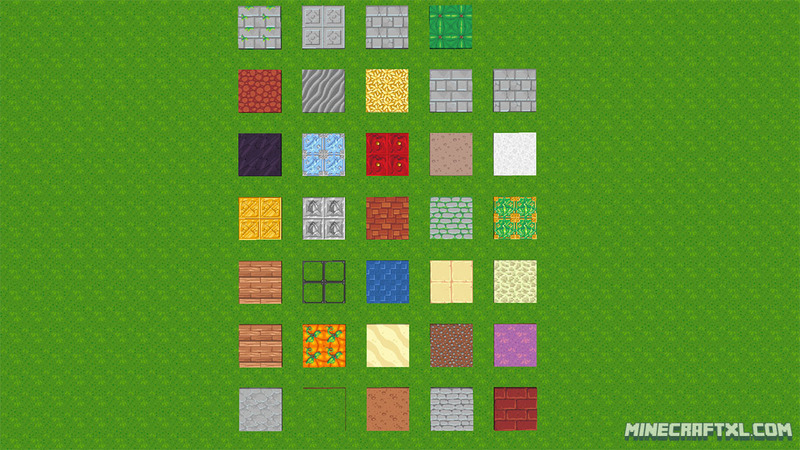 A very cool feature of the mod is that it should work with any texture pack, without needing to be supported, which just makes this mod even cooler! Every resource pack I tried it with worked, so that is incredible awesome! First we have vanilla Minecraft, works fine, as expected. And here we have the tiles, this time with the Dragon Dance Resource Pack. Wonderful! The popular John Smith Legacy Resource Pack, also functional! And finally, the Sphax PureBDCraft Resource Pack, this one was extra cool as the soul sand and other tiles were animated! If you don’t have Forge, then download and install Minecraft Forge. Copy the mod .jar file(s) you downloaded to the “mods” folder found inside the .minecraft folder. That should do it, the tiles should now be installed and ready to be used by you, enjoy!